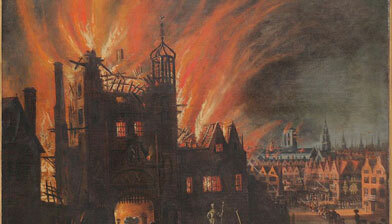 The Museum of London plays host to a major exhibition which commemorates the Great Fire of 1666. Until the 17th April you can find out how the flames spread across the whole of London in just a few days, destroying most of the city, via a series of installations and interactive displays. Other sections are devoted to learning about the life of Londoners in the 17th century, and to understanding how the capital bounced back from the disaster. The exhibition is part of a series of events called Great Fire 350. 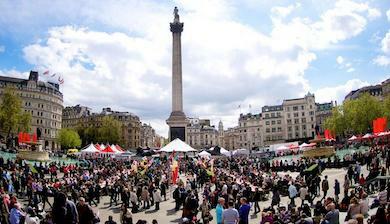 On 2nd September, the anniversary of the date on which the fire broke out, the London’s Burning festival took place. 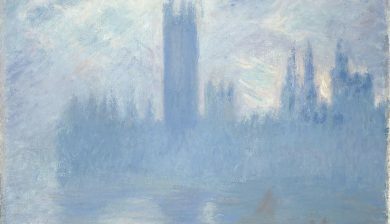 On the evening of 4th September, a 120-metre-long wooden sculpture depicting London in 1666 was set alight on the Thames.